In a commentary by Tara Murtha on RH Reality Check, "How Republicans Are Distorting the Gosnell Case to Push a Federal 20-Week Abortion Ban," is the epitome of the kind of disgusting propaganda the Conservatives are so well practiced in. 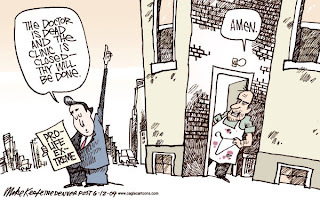 Kevin Gosnell is the Judas Goat so familiar to Conservative Sheeplets, and relatively unknown to the real world, but used as the rallying cry for Anti-Choice fanatics everywhere. Read the piece, and you'll be prepared to handle the Sheeplets' rhetoric on Gosnell and help spread the truth to others. 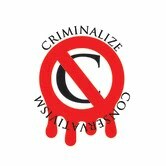 "See all our coverage of HR 1797 here. "After apparently having exhausted the distortion and exploitation of the Kermit Gosnell case to push targeted regulation of abortion providers (TRAP) laws through state legislatures, anti-choice lawmakers are twisting the facts of the case yet again to suit a new purpose. "HR 1797 is titled the Pain-Capable Unborn Child Protection Act, even though scientific studies, and meta-analysis of said studies, have found no evidence of fetal pain until the third trimester. Rep. Trent Franks (R-AZ) proposed the legislation, despite the fact that a 20-week abortion ban passed in his state was recently ruled unconstitutional. Grounding the bill in faux science is no surprise, given Franks’ role in founding the Arizona Family Research Institute, a group linked to the notorious Focus on the Family, a devoutly anti-choice (and anti-LGBTQ rights) organization that promotes an anti-science fringe agenda such as teaching 'Creationism' and abstinence-only education. As a young politician, Franks reportedly donned a tie tack in the shape of fetal feet. 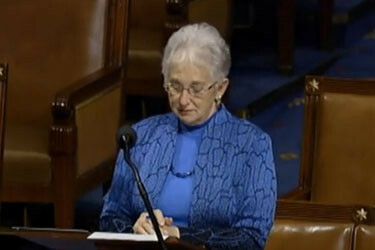 "As the bill was furiously debated in the House Tuesday, hardly a minute went by without a mention of Gosnell. 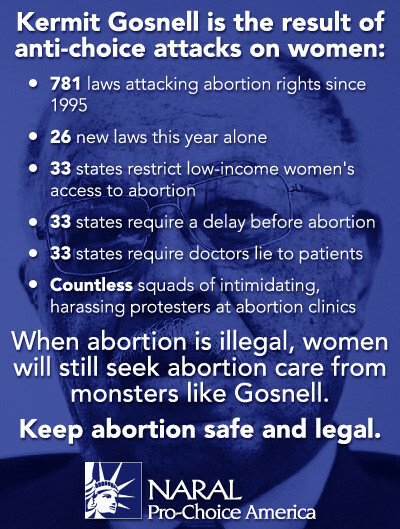 Gosnell, of course, is the infamous Philadelphia doctor recently convicted of the first-degree murder of three babies, voluntary manslaughter of a Bhutanese immigrant named Karnamaya Mongar, and 21 counts of abortion past the legal gestational date (24 weeks in Pennsylvania), among other charges. “The trial of Kermit Gosnell exposed late abortions for what they really are: relocated infanticide,' Franks in a statement about the bill. 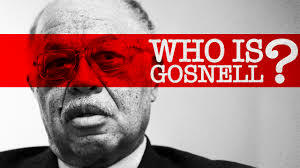 "Gosnell was convicted of involuntary manslaughter of Mongar and of first-degree murder of three babies, referred to as Babies A, C, and D in the grand jury report and throughout the trial. From the grand jury report, describing Baby A: “His 17-year old mother was almost 30 weeks pregnant.” Baby C, according to the grand jury report, was “at least 28 weeks of gestational age.” The grand jury did not know the exact gestational age of Baby D, though experts used a review of neonatology charts to conclude that the age was “consistent with viability.” In other words, each of these were third trimester pregnancies. "Gosnell’s 'procedures' were illegal under current law. A 20-week post-fertilization ban would not make them any more illegal. If passed into law, HR 1797, or any other 20-week ban, would not prevent another Gosnell. "Meanwhile, abortions performed in weeks 20 through 24 are statistically rare. According to the Centers for Disease Control and Prevention’s latest abortion surveillance report, based on data from 2009, 91.7 percent of abortions were performed at or before 13 weeks gestation. Only 1.3 percent of abortions occurred at or after 21 weeks’ gestation. 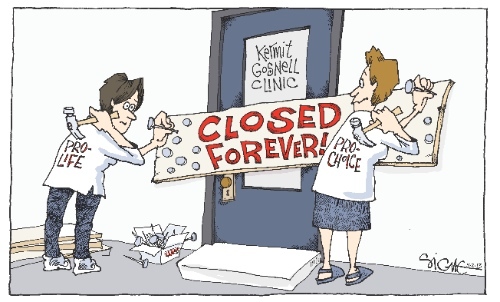 "Beyond the junk science and bad logic, however, there is evidence that laws making it more difficult for women to find abortion services will lead more women to share the tragic fate of Karnamaya Mongar at the hands of providers like Kermit Gosnell. "Mongar was a 41-year-old grandmother who, after 20 years in a refugee camp in Nepal, was relocated to the United States. She only lived here four months before her heart stopped on the table in Gosnell’s clinic. "Under Roe, abortion is technically legal up to 24 weeks, but that doesn’t mean it’s available. Mongar’s tragic story shows that what’s legal becomes irrelevant where there’s no access. "At trial, Mongar’s daughter testified that her mother was 14- to 15-weeks pregnant when she first tried to find an abortion clinic in Virginia. One clinic allegedly turned her away because she was two weeks too far along. She traveled to a clinic in Washington, D.C., but was again turned away. "We don’t know exactly why Mongar didn’t seek an abortion until early in her second trimester. According to a 2009 article in the American Journal of Public Health, the reasons women seek second-trimester abortions 'include cost and access barriers, late detection of pregnancy, and difficulty deciding whether to continue the pregnancy.' Poor women of color like Mongar are more likely to seek second-trimester abortions. "What we do know is that Mongar sought an abortion for the same reason so many women do: Getting by on food stamps, her family was already struggling and she didn’t think she could care for another child. "Time didn’t stop. According to the American Journal of Public Health article, the majority of abortions between 17 and 24 weeks are performed in just a few freestanding abortion clinics. Mongar, who couldn’t speak English, couldn’t find one. Unable to find safe, legal abortion near her home, she headed north to Philadelphia, where she found Dr. Gosnell’s clinic. "Meanwhile, though HR 1797 passed the House, it is all but assured not to pass the Senate, and the White House already issued a statement indicating the bill will be vetoed if it somehow makes it to the president’s desk. Beyond that, it would likely to ruled unconstitutional in the same way similar state-level bans have been routinely ruled unconstitutional. So why bother? Because exploiting the legislative process by turning it into a tax-funded theatrical PR event is an opportunity to misinform the public—and a strategically misinformed public is the key to success for this anti-science, anti-choice agenda. "Like this story? Your $10 tax-deductible contribution helps support our research, reporting, and analysis. "Follow Tara Murtha on twitter: @taramurtha"
And herein lies the truth behind the Conservatives fairy tale: "Because exploiting the legislative process by turning it into a tax-funded theatrical PR event is an opportunity to misinform the public—and a strategically misinformed public is the key to success for this anti-science, anti-choice agenda." Only when Conservatism is criminalized will such tripe be eliminated from our political discussion and we can get back to dealing with the elimination of the anti-democratic legislation that has been passed by Conservatives for the past six decades. 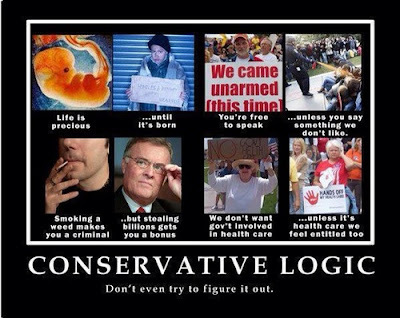 Only when Conservatism is banned will we be able to return to the democracy that was envisioned by the Founding Fathers.